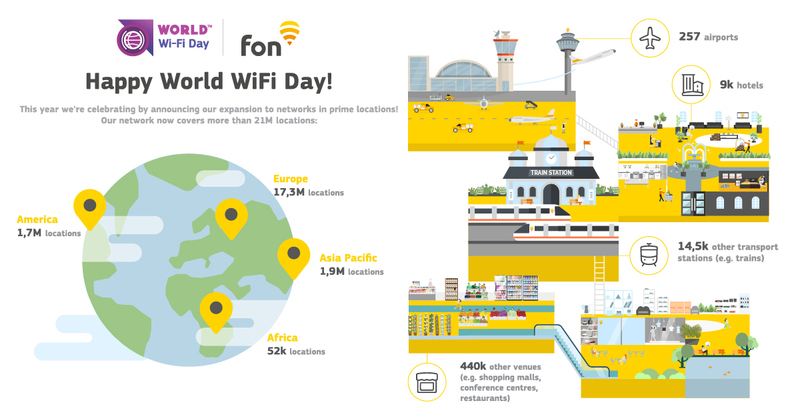 Today is World WiFi Day and at Fon we’re excited to announce that we have significantly expanded beyond residential networks. With a network of over 20 million hotspots, we have increased our footprint by aggregating many WiFi networks with hotspots in prime locations such as airports, convention centers, shopping malls, train stations, and restaurant chains. Our expanding network now boasts coverage in over 21 million locations!  End-users can connect to Fon WiFi in over 250 airports around the world, in addition to thousands of transport stations, hotels, and venues. Our industry-leading Roaming Hub enables this seamless connectivity between Fon and other global WiFi networks. The integration process is simple and efficient, with all commercial and technical aspects managed to the latest industry standards. The Hub also features a user-friendly reporting tool, Fon Network Insights, which is designed specifically for WiFi partners to accurately monitor their network’s usage. Access to these new networks in prime locations creates an even more compelling point of differentiation for Fon’s clients, including telcos, MVNOs, IoT companies and app developers, who are looking to add value for their customers through WiFi. Fon offers a number of connectivity options for these clients: an SDK that can be integrated into any app; a customizable Connection Manager app; or promo codes, which are redeemed by end-users in exchange for timed access passes. We’ll be expanding our footprint even further in the coming months: If you’re interested in joining Fon’s growing WiFi network, get in touch! Don’t miss exciting updates like this in the future: Make sure to follow us on LinkedIn and Twitter!